I was the kind of person who wanted to be liked. I mean I'm a nice, so why wouldn't anyone like me. I was completely clueless. You don't have to do anything wrong, there are just people that do not like you. As I got older I accepted that and I'm fine. When I was a kid I thought everyone was my friend, until I entered middle school. From there it pretty much went left in high school. I went from believing I had "a lot" of friends to not having nothing, but a handful. I was confused about this, but I learned my lesson. When entering high I didn't think I would loose friends. Let's just say I was naive. But I guess that's because I would make better friends in the long run. I accepted the fact that I lost them. But for awhile I didnt understand why. I was the type of friend that was there. But I guess they didn't feel the same. You know high school is so different. People start to change and they leave you behind. This goes hand and hand with, not everyone will like you. There doesn't have to be a reason for someone to talk about you. You know the word "rumors". People make up lies to hurt other people. It's a verbal part of bullying. 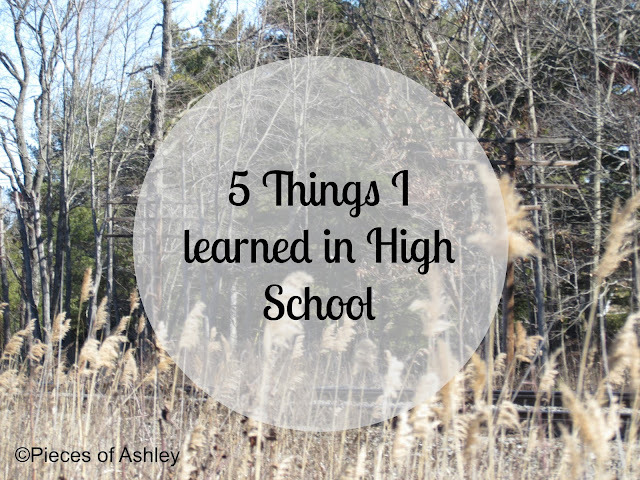 As soon as I became a freshman in high school the confidence I thought I had, disappeared into thin air. It was a rude awakening for me. When I say confidence, I don't mean being "self absorbed". This was a different ball game and I didn't feel in control. I started to feel about myself. I didn't like myself anymore and I felt no one would.